Child’s Play reboot with Polaroid director Lars Klevberg, says THR. The 1980s horror classic centered on a toy doll possessed by the soul of a serial killer. The remake is, get this, set to begin filming this September from Itproducers David Katzenberg and Seth Grahame-Smith. Tyler Burton Smith— who has written video games and wrote Kung Fury 2 — penned the script. Directed by ’80s and ’90s horror mainstay Tom Holland and co-created by Don Mancini, Child’s Play told the story of a popular toy doll named Chucky that becomes possessed and terrorizes a single mom and her son, as the killer needs the son’s body to jump into before his transference to the doll becomes permanent. However, the contemporary reboot is said to involve a group of kids and a technologically-advanced doll that enters their world, explains Collider. They also add that the Child’s Play rights situation is complicated, and Universal owns the home entertainment rights, though it seems like MGM has figured out a way to separate the rights, so that it can move forward with a movie on its own terms, from a new creative team, while Mancini can still do his TV series with his regular cast of Chucky collaborators. Klevberg directed Polaroid, which expands upon his short of the same name. The movie was to have been released by Dimension last year but because of the bankruptcy of The Weinstein Co., its was taken off the schedule. Will this be out before Polaroid? Tyler Burton Smith, this remake's writer, wrote the recent video game Quantum Break, a very ambigious project that combined game segments with live-action segments; the story is said to have received generally favorable reception according to Wikipedia (I know the source is questionable, but there information tends to be correct when it comes to entertainment media). WB should've bought the rights to this so that way they can have their Horror Doll Cinematic Universe with Chucky v Annabelle. Please keep Brad Dourif as Chucky. Liv Tyler would be pretty neat. She was great in Lord of the Rings: The Fellowship of the Ring. I wish they would have at least kept Brad Dourif as Chucky. Of course, Andy Barclay (played by Alex Vincent) is the young boy who first speaks to the possessed Good Guy Doll in the Tom Holland-directed 1988 film, created by Don Mancini. Vincent and his character are still in the mix of the canonized series that just battled multiple Chucky dolls in Cult of Chucky. The remake also allegedly has been casting the role of Karen Barclay, originally played by Catherine Hicks. To clarify for those confused, Universal Pictures owns all sequel rights of the franchise and characters. Franchise producer David Kirschner and creator/writer/director Don Mancini plan to continue the story through more film sequels and a television series – all canon to the original film. MGM and Orion own the rights to the very first film, which means they can use any of the characters from the 1988 horror classic, but nothing from its sequels. We could see Andy, Karen, Charles Lee Ray, Chucky and anyone else involved in the killer doll’s big screen debut. What’s different, besides it being a modern take, is that it’s utilizing A.I. technology instead of the doll just being possessed. This leaves a lot of questions unanswered: will they use the classic Good Guy Doll and reimagine it? Will the killer’s name be Chucky? What’s the motivation? Will it take place around the holidays? I guess we can start with some casting news, which should be coming in the next few weeks. Heading into production next month is a remake of Child's Play, despite the series' original writer, Don Mancini, still writing new adventures for Chucky, the killer doll. New details about the film have emerged with a casting notice, offering audiences details about how this new film will differ from the original and also what it will keep intact. Sources shared with ComicBook.com that one character, named "Chen," is a "Chinese factory worker who commits suicide shortly after re-programming a Buddy doll to have no limitations." As far as the iconic killer doll is concerned, Chucky is described as "a defective 'Buddy doll' whose programming code was hacked so that he has no limitations to learning and also violence." In the original film, Charles Lee Ray (Brad Dourif) is critically injured and, before dying, projects his spirit into the body of a Good Guy doll, allowing the pint-sized terror to come to life to fulfill Chucky's murderous proclivities. The biggest change with this upcoming remake is that the threat will now be based on technology, which has been the prominent rumor circling about what fans could expect. These casting details seemingly confirm the major departure from the source material. News of the reboot came as a shock to many, with the seventh film in the series, Cult of Chucky, debuting last year, proving that the franchise was alive and well. Mancini, along with producer David Kirschner and Dourif, have previously teased that their franchise still has more adventures, including a potential TV series. 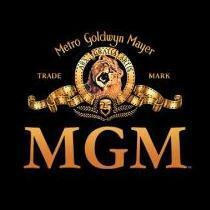 Mancini also previously confirmed that he had no interest in being involved with the remake, which could mean MGM was required to make substantial changes to the narrative as to differentiate itself from the ongoing series. Descriptions of the main characters seem to confirm that, other than why the doll comes to life, the remake will have a similar structure to the original. The main character is once again Andy, who is described as "clever and quirky. Socially awkward but in an endearing way. He also has a clunky old hearing aid in his ear." His mother Karen is described as "a bit of a mess but loves her son very much. She lives in a small apartment and has a job at a superstore that sells Buddy dolls. By chance, she takes home the dysfunctional Buddy doll before it is returned to the factory, as she can't afford a birthday gift for her son." Stay tuned for details about the upcoming Child's Play remake. Someone please let Brian Tyree Henry know he can say no once in awhile. Toys are old school now. They should pull a Jumanji like how they updated the board game to the video game, they should update dolls to a virtual reality doll that kills people.